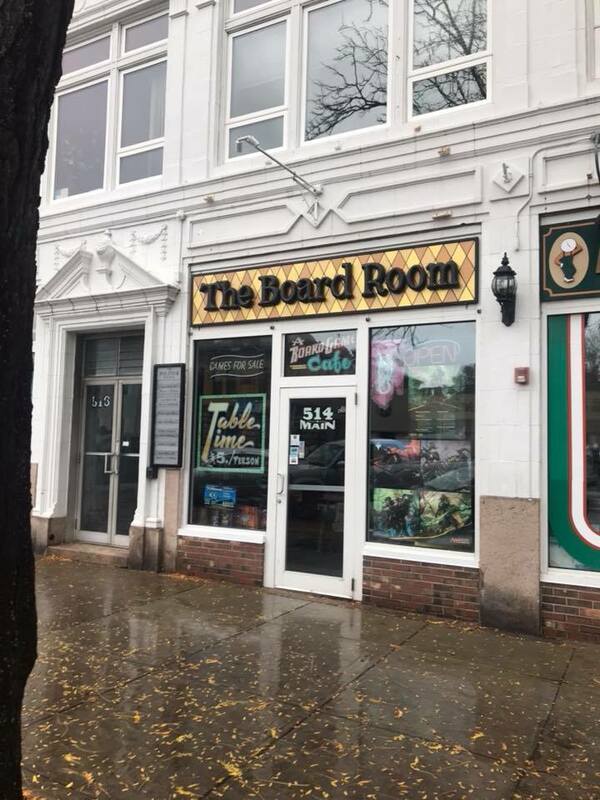 The Board Room is the first Board Game cafe in Connecticut, located on the north end of Main Street in Middletown. Customers pay $5.00 per person to gain access to their massive game library for the day. They have various snacks, meals, and drinks for sale on site such as gourmet mac & cheese and paninis to go along with whatever game you choose to play. The Board Room also sells used games, in a variety of different genres. The Board Room also offers memberships for the dedicated gamers out there. For $20 dollars you can purchase a 30 day unlimited table time pass. Along with memberships The Board Room also hosts dedicated nights for certain games, such as Dungeons and Dragons. If you’d like more info visit their website below or stop in and tell them we sent you!